Since 1995, we’ve been the sought-after resource in Hampton Roads for objective, unbiased financial advice. You can listen to “Dollars & Common Sense” LIVE every 2nd and 4th Tuesday of each month. Tune into this listener driven call-in show to get a feel for our philosophy, approach, and personality. Wealthway Financial Advisors is the premier financial planning firm in Hampton Roads. We deliver objective, unbiased financial advice through comprehensive financial planning and expert investment management. We’re an independent Registered Investment Advisor beholden to no one but our clients. Our advisors are experienced CERTIFIED FINANCIAL PLANNERS™ legally held to a fiduciary standard to put your interests ahead of our own. We believe that comprehensive financial planning and rational investor behavior are the keys to inevitable, enduring wealth. We work best with clients who share that view. At Wealthway, we use customized financial strategies to enhance your quality of life. Our process is designed to make you feel like everything is easy, everything is under control, everything is possible. As we work together, we’ll talk about how you got here and help you figure out where you want to go. Eventually, you’ll start sharing pictures of your vacations and pets. When you finally find the right partner, you know it. Maybe that’s why we get more hugs than handshakes. Pariser Dermatology serves the greater Hampton Roads region with 6 convenient locations in Norfolk, Chesapeake, Virginia Beach, Suffolk, Newport News, and Williamsburg. Our team of providers are experts in medical dermatology, and treat patients of all ages and skin types. For complex skin cancers, we offer Mohs micrographic surgery, a state-of-the-art surgical technique. Pariser Dermatology works directly with Virginia Clinical Research, a physician-owned independent research company. Founded in 1981, VCR has performed more than 400 clinical trials in order to investigate potential treatments for a variety of skin conditions ranging from alopecia to psoriasis. Pariser Dermatology is also a leading provider of cosmetic services and procedures including Botox, Juvederm, Kybella, Coolsculpting, as well as a variety of laser treatments and on-site aesthetician services. We look forward to helping you with all of your skin care needs. To service the growing needs of the area, following 20+ years of serving the Hampton Roads community, Christina L. Minton, CPA of Christina L. Minton CPAs formed a partnership with William J. Caldwell, CPA of Caldwell & Companies. Their new partnership, Caldwell Minton CPAs, serves both business and individual clients with tax planning, tax return preparation and IRS issues. Additional services include bookkeeping and payroll processing. We recognize the uniqueness of each client’s needs and work to help our clients maximize their financial growth. Patrick Evans-Hylton is a Johnson & Wales-trained chef and an award-winning food journalist, covering tasty trends since 1995 in print, broadcast and electronic media. He is publisher of Virginia Eats + Drinks Magazine Virginia Eats + Drinks Magazine. Evans-Hylton is a cookbook author (Popcorn, Dishing Up Virginia, Nuts), food historian, culinary advisor for the Commonwealth of Virginia and a media awards judge for the prestigious James Beard Awards. He runs a cooking and wine school at TASTE, a gourmet grocer in Coastal Virginia, and teaches a number of food media-related classes at The Muse Writer's Center in Norfolk, and elsewhere nationwide. Each Friday from 6-7 p.m., he hosts The Virginia Eats + Drinks Show on air on AM 790 WNIS, and archived at Virginia Eats + Drinks Magazine. At Chantel Ray Real Estate we want to change the way real estate is done in our country. It's kind of like Apple wanting to change technology. At other big companies -they call themselves "franchises" but they are truly just brands. A real franchise provides a consistently excellent customer experience each and every time. Other companies – their target market is the agent, not YOU, their client. We have a higher standard here at Chantel Ray Real Estate. As stated in our mission, we vow "to glorify God by putting our clients' interests above our own…"
Did you know we have a love it or leave it guarantee? If you don't love the house that we sell you within the first three months, we will sell it for free. We have a live agent in the office 8 am – 8pm every day so you can get your questions answered and your home will never miss a showing call. And after hours, we have people answering phones late into the night so you'll never speak to an answering machine. We guarantee the most effective marketing over any other company. "Average Joe Real Estate Agent" doesn't have the $36,000 a month we spend to market your home. Also, you'll never be stuck in a contract – if at any time you're not happy – fire us! We understand you have options, that is why we are always excited and thankful for your business! ET Lawson has been serving Hampton Roads since 1919. Specializing in AirTight foam insulation and Aeroseal duct sealing, ET Lawson will help you save money on your energy and utility costs. Other services include HVAC, electrical, plumbing and generator installations and repairs as well as bathroom remodeling. First Financial Group was founded in 1977 and has grown to over 150 advisors. We are proud to serve Virginia Beach and the surrounding Mid-Atlantic region. Our local advisors have a proven process that is simple and direct. We protect and maximize cash flow – a concept that scales effortlessly to each client’s unique financial circumstances. Call 757-498-5700 to reach First Financial Group of Virginia Beach. The Meet the Expert speaker, Darrell Williams, can be contacted at extension 3550. Everyone shares similar concerns about health care for our parents, grandparents and loved ones as they reach retirement age and beyond. Perhaps your mother gets confused and can't keep her doctor appointments and medications straight. Or your dad seems depressed and doesn't enjoy fishing anymore. Maybe your grandmother suffering from Alzheimer's needs regular attention while you're at work. That's when Home Instead Senior Care can come into the home and be the caregiver for you. For more than 50 years Eggleston has been dedicated to educating, training and employing individuals with disabilities. Our goal is to help people obtain meaningful work opportunities and participate fully in their communities. We help individuals with disabilities gain independence, confidence and increased feelings of self-worth through on-the-job training and stable, rewarding work opportunities. When Eggleston opened in 1955 as the Tidewater Vocational Center, we served only five individuals with disabilities. Today, we serve hundreds through 26 programs and 13 locations, and our services expand every year. We continue to grow our services through partnerships with businesses and government institutions, offering our participants the chance to earn a living and lead full and independent lives. The programs offered by Eggleston Services benefit our participants at Home, at Work, and at Play. Mason & Associates, LLC is a comprehensive financial services firm specializing with government employees (including CSRS, CSRS Offset, FERS, Military, and VRS). Our goal is to help our clients understand, and then maximize, their employer-sponsored benefits and make informed choices as they supplement with private insurances and investments. We believe that our independent platform allows us the flexibility to better serve our clients, without bias. We encourage you to explore our site and learn more about the services we provide. Should you have any questions or would like more information, please feel free to email or call us at (757) 223-9898. We look forward to hearing from you! 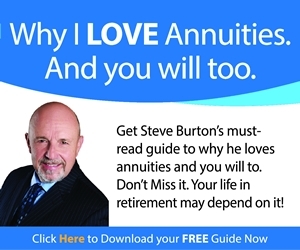 With years of experience helping clients take control of their financial future and provide a financial legacy for their families, Steve Burton, President of Equity 1, Inc. took to the airwaves four years ago. Steve helps individuals to take control of their financial future by listening and providing education and financial tools. This enables them to have security, predictability, and a better understanding of their financial needs and goals. Your financial goals and objectives will vary depending on what stage of life you’re in. Whether you’re retired, approaching retirement, getting married, buying a home or starting a business there’s an important point to keep in mind: It’s never too early – or too late – to take control of your financial security.